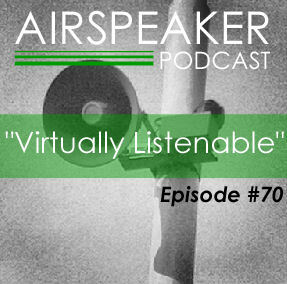 Welcome to Episode #79 of the Airspeaker Podcast. This is part 2 of the conversation Will and Ed had from the last episode. All this and more on this episode of the Airspeaker Podcast! I honest forgot how to publish a post on here, it’s been so long! Me (Ed) and Will are back with a new episode! Besides catching up with one another, they talk about watching “The Flash” and they also do a Top 3 of their favorite Time Travel TV shows and/or Movies. Welcome back to the Airspeaker Podcast! It’s Back! Ed and Will are back with a brand new episode of the Airspeaker Podcast! Find out where they have been and why they have been away. The answer is of a serious nature, so listener discretion is advised. This is Episode #76: The Podcast Awakens, Part One! Also check out Part Two as the conversation continues! Hello and Happy New Year! We are currently constructing new episodes of the Airspeaker Podcast, and while we do that, Ed pops in with this “mini-episode” with a few words with what to expect in upcoming episodes. He also plays his favorite clip of 2015! Stay tuned! Brand new episodes are on the way of the Airspeaker Podcast! Hey everyone! Ed here, giving you a quick update on why you have not heard a new episode of the Airspeaker podcast in quite a while. 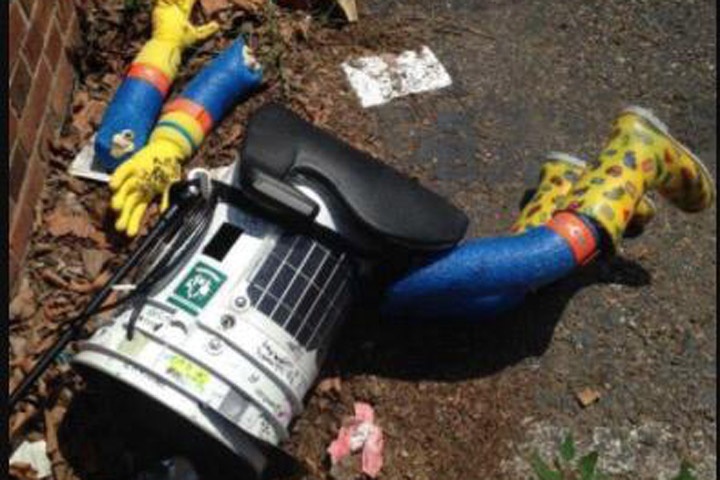 Well, 2015 has been a hell of a year to say the least and health issues has paused the production of the podcast. What does that mean exactly? 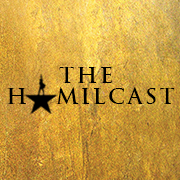 It means that we are pretty much done for 2015 but never fear, new episodes will be coming in 2016! To not give too much away on what’s to come (because it will be part of an upcoming episode) in August I was diagnosed with Testicular Cancer and have been going through chemotherapy since then. Although I am no where near being called “cancer free” just yet, I have already finished my chemotherapy treatments. So hopefully I will be on my way there real soon. If you follow me on Facebook and Instagram you may have noticed that I have mentioned something about it but I haven’t really announced it until now. I have come close to doing an episode about it detailing all of it but the opportunities were not there to do so. Expect a full detailed episode to come soon. Unfortunately the Airspeaker podcast was the one to take a hit during all of this. During treatment I shifted focus to the Expand Your Playlist podcast to help he get my mind off of things by focusing on the great music that is yet to be discovered out there in the world. To listen to those episodes go to http://www.expandyourplaylist.com (yes that was a plug). Anyways, thank you to those of you who have been going back to listen to past episodes of the podcast and keeping it alive. We hit a little bump in the road but we are not done by a long shot! Myself, Will, and the rest of the crew will be back with more fun episodes along with awesome guests and more! Thank you and stay tuned in 2016! 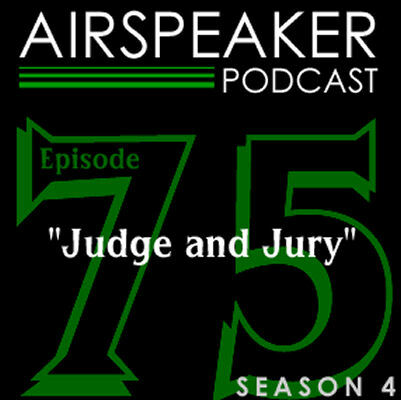 In this episode of the Airspeaker Podcast, Will joins Ed to discuss experiences, mainly Ed’s, of Jury Duty and other judicial related topics. Also in this episode, Neil C. and Annaleis from Dark Angels and Pretty Freaks podcast join Ed in a segment called Top 3, in which they list their Top 3 courtroom scenes in movies. Catch the their podcast every week at www.darkangelsandprettyfreaks.com. We also listen to comedian Dreek as he recounts his jury duty experience on his You Tube video. Catch the Airspeaker Podcast on ITunes, feedburner, iHeartRadio, Stitcher, Spreaker, and Soundcloud. 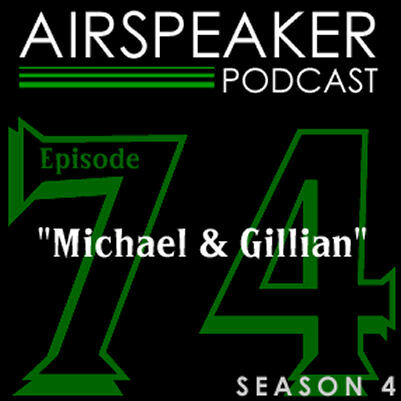 Welcome to Episode #74 of the Airspeaker Podcast! In this episode Ed talks to Michael Paul Smith and Gillian Pensavalle from the web series “The Residuals”. 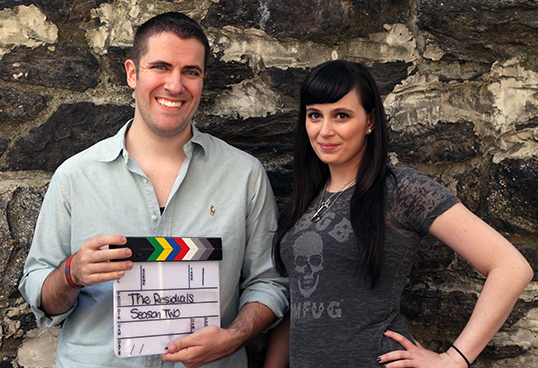 Catch both seasons and view outtakes of every episode at www.theresiduals.tv . They talk about the making of Season 2 of “The Residuals”, using KickStarter, music, Columbo, old jokes, and road trips to In-N-Out. Catch the web series at www.broadwayworld.com and on www.theresiduals.tv. Also! Ed is a guest on the Dark Angels and Pretty Freak Podcast, Episode #76! Back with a NEW season and NEW episode of the Airspeaker Podcast! Due to life getting in a way, we have been gone for about a few months but we have returned with a brand new episode kicking off Season 4! This is Episode #73: “The New Old School” and on this episode we go back to how it all got started. Ed & Will discuss random topics and recount certain events that has happened along their break the only weird way they know how! In this episode they talk about… Jury Duty, The L.A. Podcast Festival, Watching the Simpsons, “The Aughts”, Numberization, Calling for Time, Watches, Fun with Calculators, Pager talk, Dial-up, Hitchbot, Philadelphia Sports Fans, Lavalanchula, and The Blue Oyster Bar. 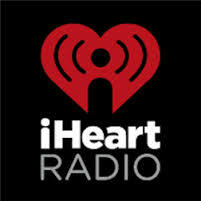 You can also find the show on iHeartRadio, iTunes, Soundcloud, Spreaker, and on Stitcher Radio! We appreciate all of the comments and messages while we were gone! We are back and stay tuned for more this season! Last but not least, R.I.P. 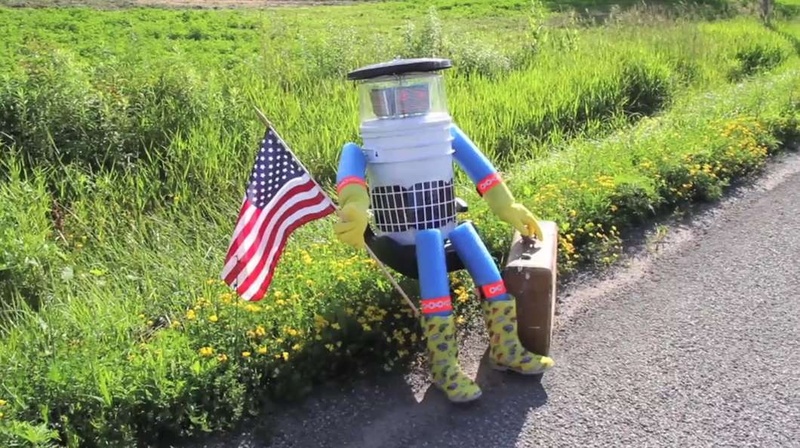 Hitchbot! Hey everyone! Forgot we were still around? So did we. I hope you are having a bitchin’ summer! We took a little time off from the podcast to deal with this phenomenon know as life, but we can’t let that stop us. So this is a reminder / warning.. We are coming back with brand new episodes in August! We are cutting off season 3 with three episodes left just to start Season 4 early! Stay tuned to your favorite Airspeaker outlet for episodes and to this website for more news! In this episode of the Airspeaker Podcast, the boys pause life for a minute to record an episode of the podcast. Ed and will talk about..
– & cinco de mayo. We also briefly talk about Airspeaker’s spin-off music podcast, “Expand Your Playlist”. You will also hear a preview of the latest episode of Expand Your Playlist. Intro background music bed by Chris Prythm with “Brighter Days”. In this episode Ed rides solo as he takes time out from falling asleep at the wheel to record a quick thought-filled episode of the Airspeaker Podcast. Ed discusses debating on whether or not to go to his 20 year high school reunion, late night adventures at work, and his sports rankings. Also you will hear a preview of Episode Four of the Expand Your Playlist Podcast, which is the musical side of the Airspeaker podcast heard at www.expandyourplaylist.com. Well, it’s been Two Years that Ed & Will have been doing this podcast and oddly enough the audio quality has gotten worse. Well, not always but it is in this episode due to reasons beyond our control but it is listenable, so you have been warned! – Doing the podcast for Two Years! – Ed’s night job activities. – Witnessing a car repossession. – Virtually Painless vs. Painless. – Music Festivals / Concerts at the Orange County Fair 2015. – Are wearing band T-shirts a thing of the past? – The Throwback Music Generation. – The Top 10 Song game. – Time for Ed to go to sleep. Thank you for listening! Have a question or comment? Leave it here or on our Twitter and Facebook pages. In this episode of the Airspeaker Podcast, Ed sits this episode out because he was under the weather, but Will and Joe takes over. They are joined by Joe’s friend Steven Flores, who has embarked into the world of stand up comedy. He speaks about his first time up on stage. Contact us on Twitter and Facebook! In this episode of the Airspeaker Podcast, we pay tribute to a fallen episode that never made it to the light of day because of technical and human failure. Similar to the Tenacious D song “Tribute”. We pay tribute to the greatest podcast episode in the world. – Kim Kardashian joins the podcast! Then we hear a little preview of the Expand Your Playlist Podcast: Episode One. We also gave play a quick recap of Lil Dickey’s “Ex-Boyfriend”. Check out the video below! In this episode of the Airspeaker Podcast, Ed and Will welcome to the show Nicolette and Aixa from the band GO BETTY GO!!! We were honored to have them on! 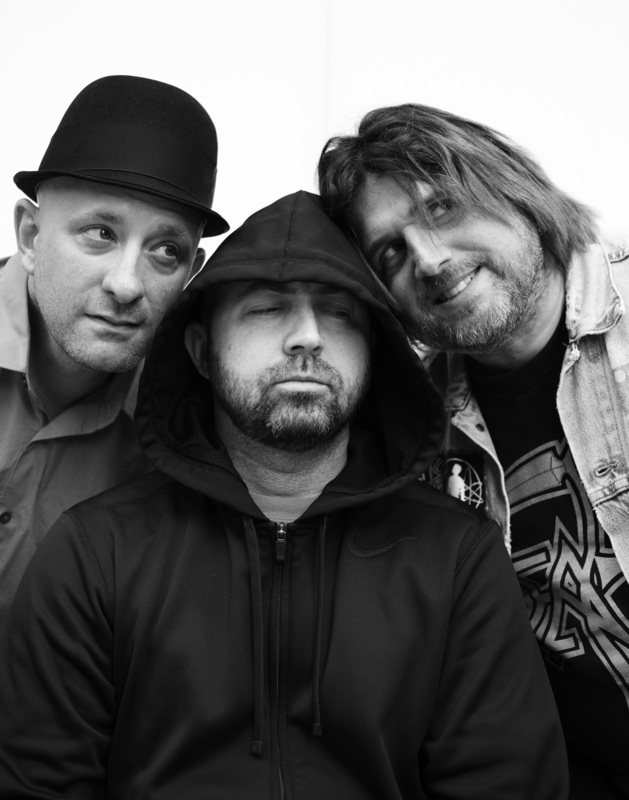 We discuss their new EP “Reboot” as well as their return to the music scene after 10 years of being away without releasing new music! Also in this episode we discuss the Saved By The Bell reunion that happened on the Tonight Show and AC/DC’s return tour! 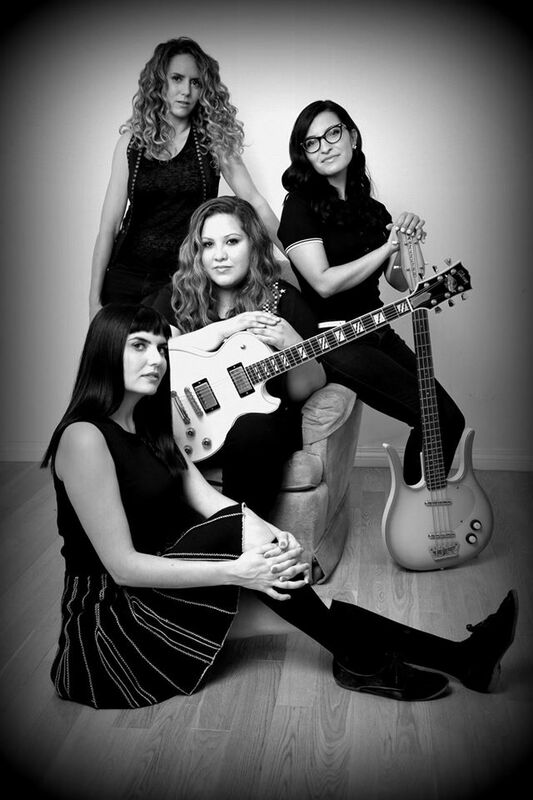 To purchase their EP “Reboot” and for everything Go Betty Go, check out their website http://www.gobettygo.com or http://www.facebook.com/gobettygoofficial. The EP is also available thru iTunes and Amazon. Airspeaker Podcast Network on Spreaker! Listen to all episodes of the Airspeaker and Expand Your Playlist podcasts on Spreaker! Listen to Airspeaker's music spin-off podcast, Expand Your Playlist.